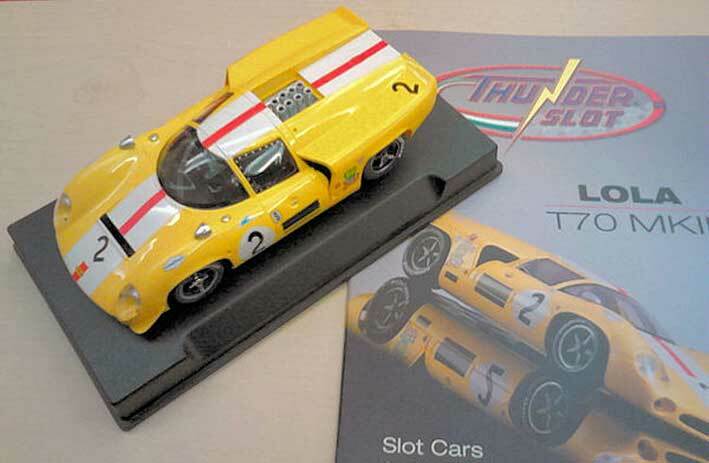 New slot car brand Thunder Slot are ready to launch their first slot car model. 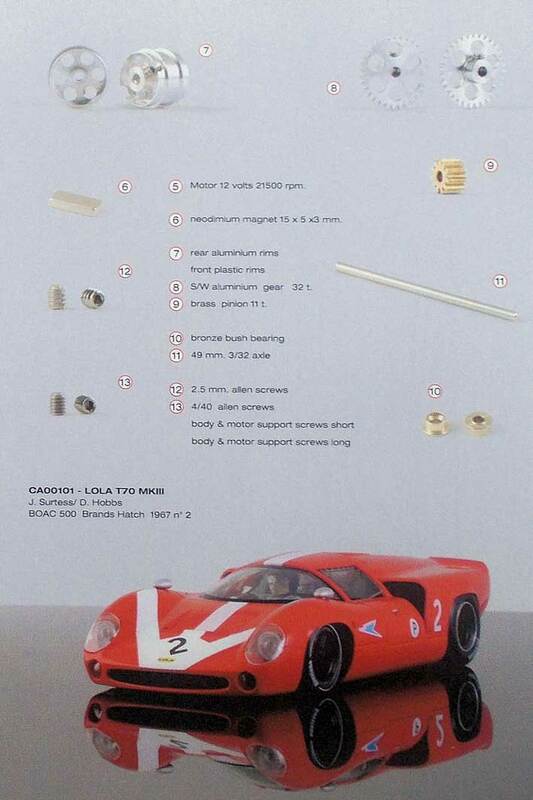 The Lola T70 MkIII in 1:32 scale. 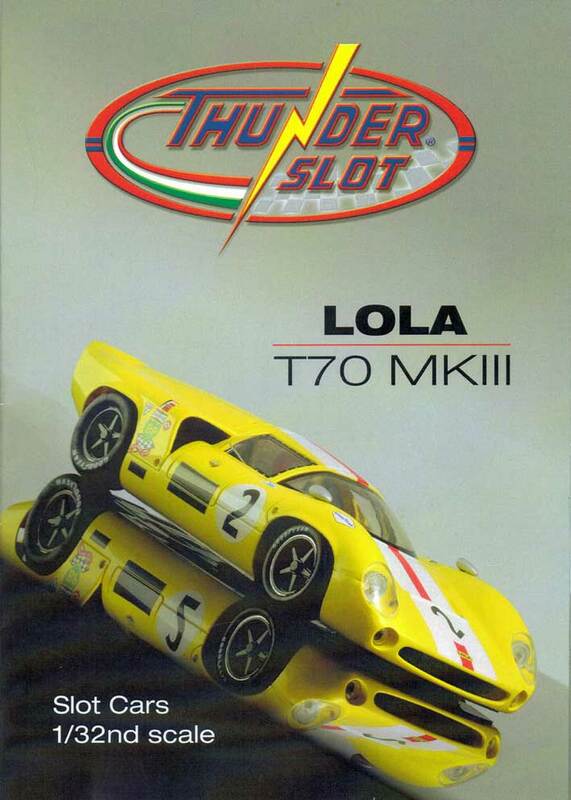 The Thunder Slot range has been developed by Giovanni Montiglio, formerly of NSR. 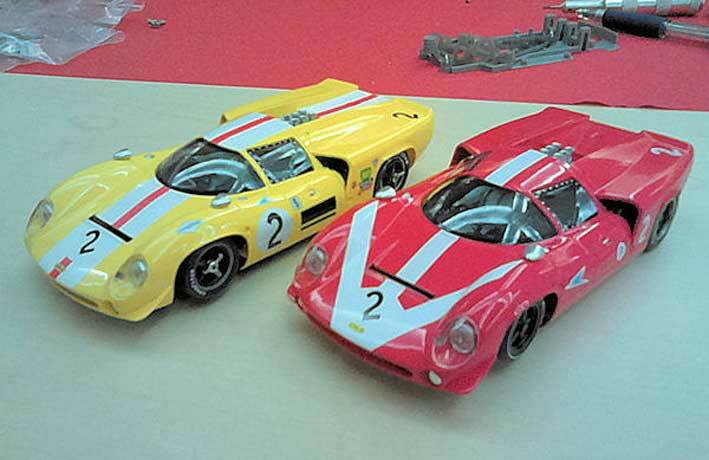 The Lola T70 certainly looks like an NSR car at first glance. 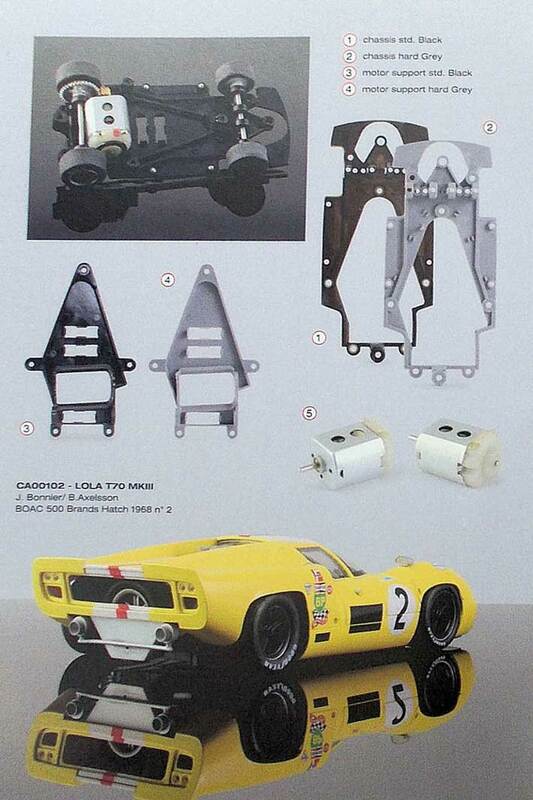 Like all slot cars deigned by Giovanni, we can expect a very competitive race car. 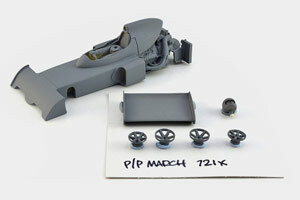 The first two cars are available for pre-order at Pendle Slot Racing. Due April. 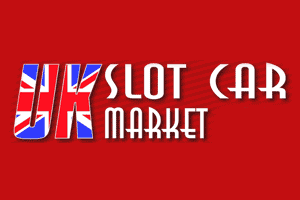 The first samples of Giovanni Montiglio's new slot car project was seen at the 2015 UK Slot Car Festival. 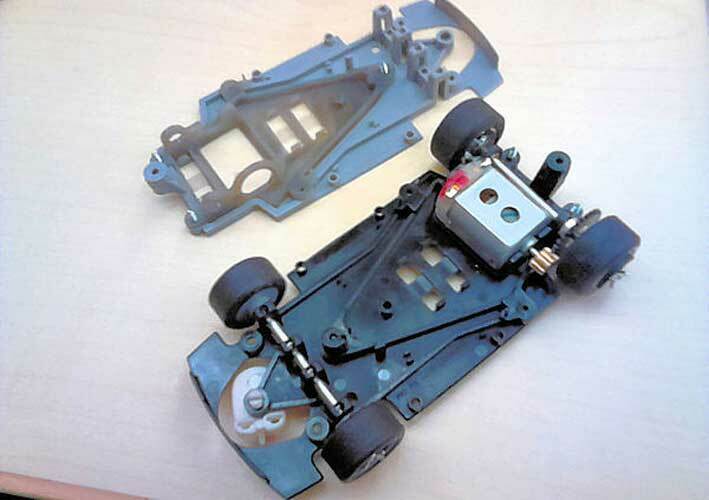 The chassis of the car takes on the familiar two piece arrangement with a triangular mount and a 21.500 rpm motor mounted at a 2.5 degree angle. 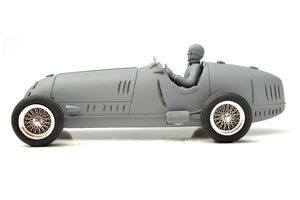 Two different hardness of chassis and mount will be offered initially, with the car coming equipped with a medium as standard and hard versions as spare parts. 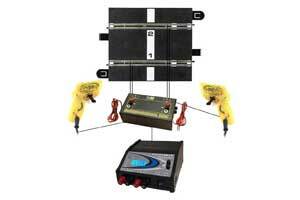 The chassis also features adjustable body mounts as well as the option to set up the front axle height. 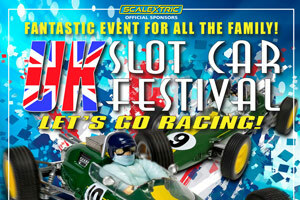 A list of spares will be available at Pendle Sot Racing on launch. Note that these pre-production samples and details such as the correct 6 spoke wheel inserts with spinners will be fitted to the final versions, however we can expect the finish to be as good as these samples with excellent paint and tampo application. Thunder Slot have also announced that following the Coupe will be the Spyder version of the T70, possibly the dark blue Ford Powered Dan Gurney car. 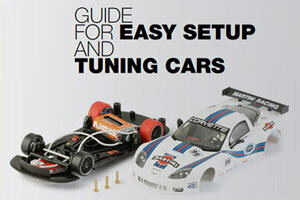 Pendle Slot Racing will stock the full range of The Thunder Slot cars and spares.